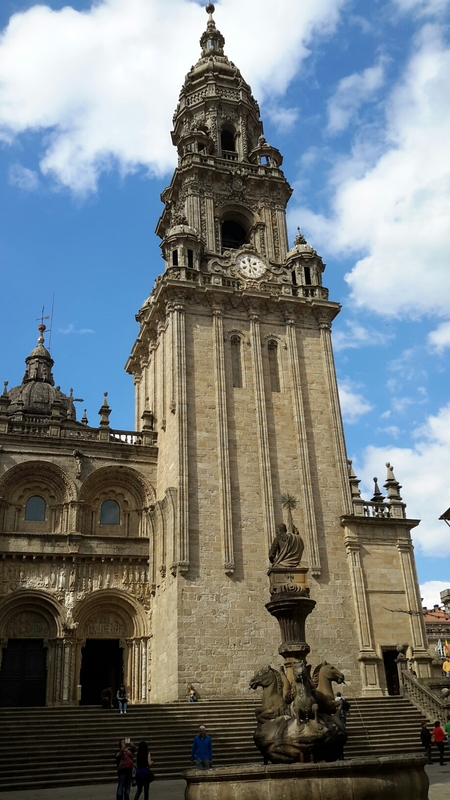 I only had two weeks to do the Camino, so decided on the Camino Portugués from Porto in Portugal to Santiago de Compostella in Spain (a distance of about 240 KMS over 14 days). 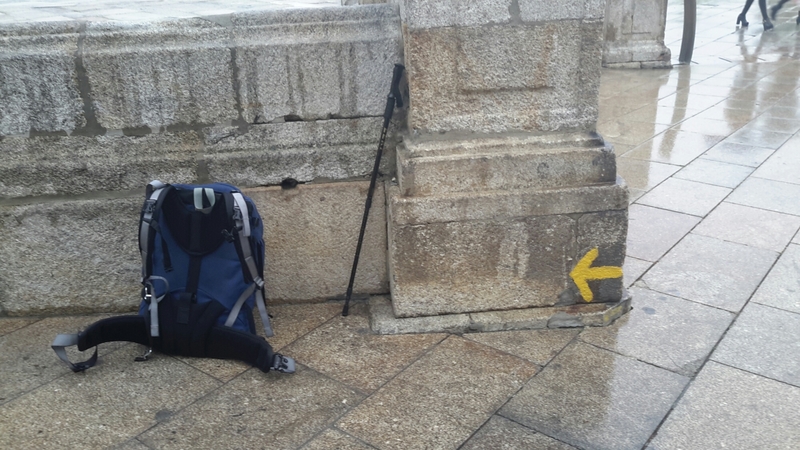 Anyone can do the Camino for whatever reason, you don’t have to be Christian, you can be a tourist, a health conscious person, or just curious like me (but do remember, this is a Christian pilgrimage). And if you are wondering what a pilgrimage is, I found this excellent definition in a book of maps of Camino Portugués by John Brierley. All of us travel two paths simultaneously; the outer path along which we haul our body and the inner pathway of the soul. We need to be mindful of both and take the time to prepare ourselves accordingly. The traditional way of the pilgrim is to travel alone, on foot, carrying all the material possessions we might need for the journey ahead. This provides the first lesson from the pilgrim – to leave behind all that is superfluous and to travel with only the barest necessities. Preparation for the inner path is similar – we start by letting go of psychic waste accumulated over the years such as resentments, prejudices, and outmoded belief systems. With an open mind and open heart, we will more readily assimilate the lessons to be found along the ancient Path of Enquiry. 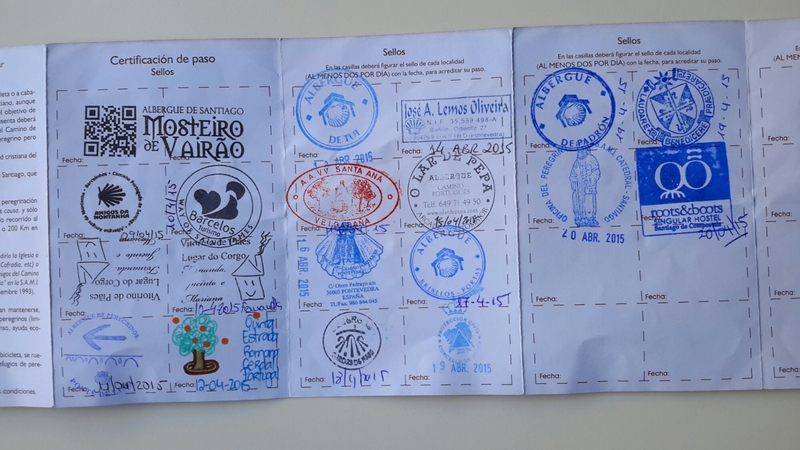 I started the Camino Portugués in Porto, which is the most attractive place to start this particular route, but some pilgrims also begin in Lisbon (but I am told that there is a lot of walking on roads from Lisbon to Porto). Porto is one of my favourite cities in Europe, built in a river valley with a old town centre of cobblestone alleyways and beautiful mosaic-decorated houses and public buildings, including the main train station (and I have a long, black Porto cape, similar to what the students wear, that I don on special occasions). 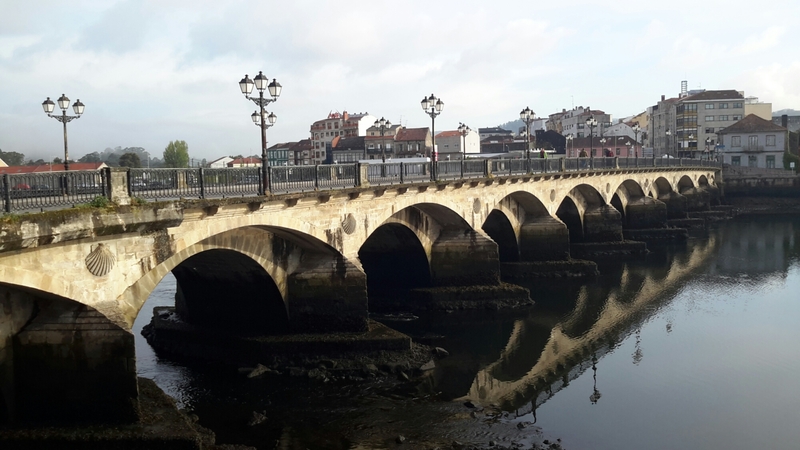 The first day of the Camino from Porto is pretty dull as it takes almost the entire day to get out of the city through the endless suburbs. 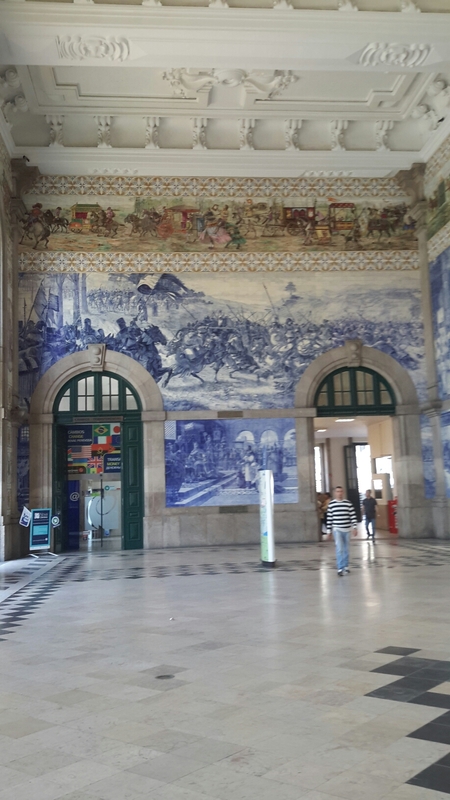 It is best to get the Metro to Vilarinho and start the walking from there (but I didn’t know this at the time, and I wish that I had spent one more night in Porto at the Tattva Hostel instead as it is one of the best hostels I have ever stayed. Hostels have come a very long way, and Portugal has some of the best ones). 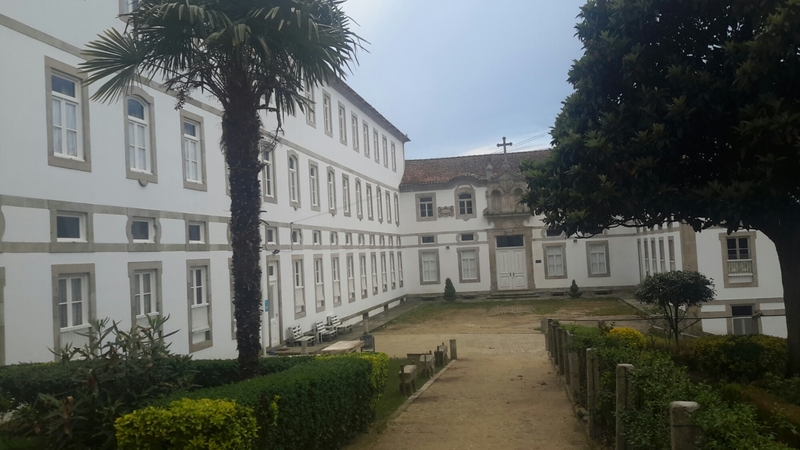 After the endless walk out of Porto, and feeling a bit grim, I came across this big spooky monastery where I spent the first night. Pilgrims stay in places like this that are called Albergues and they are very affordable at only 5-6 Euros a night. Only one other person was staying at the monastery, an older Spanish man who spoke no English (and I have no Spanish nor Portugués language skills). And almost no one speaks English in this part of the world, so I reluctantly prepared for the inner journey of the Camino! The Camino got a lot more interesting after Mosterio de Vairao as the path wasn’t all ashfelt, suburban streets. 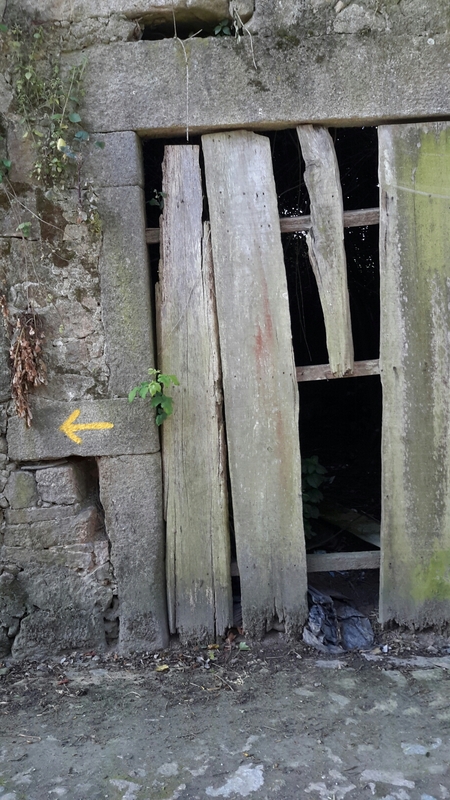 The Camino trail is clearly marked with neat little yellow arrows that are painted on rocks, fences, houses, signs, and almost any inanimate object. 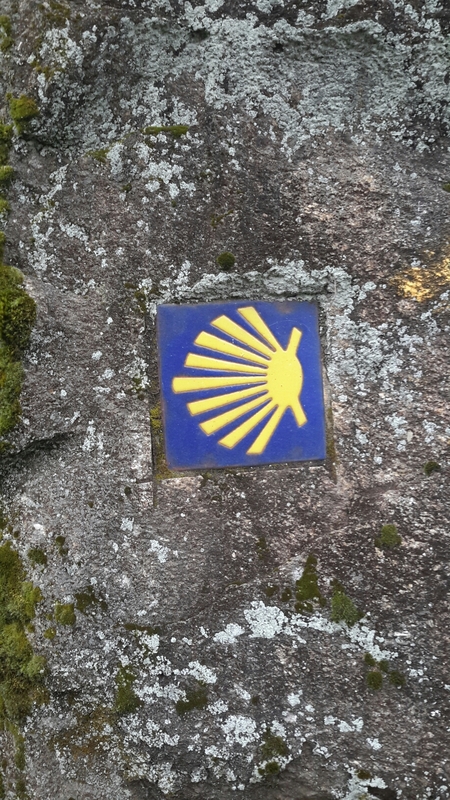 In Spain yellow shells are used as well; the symbol of the Camino. 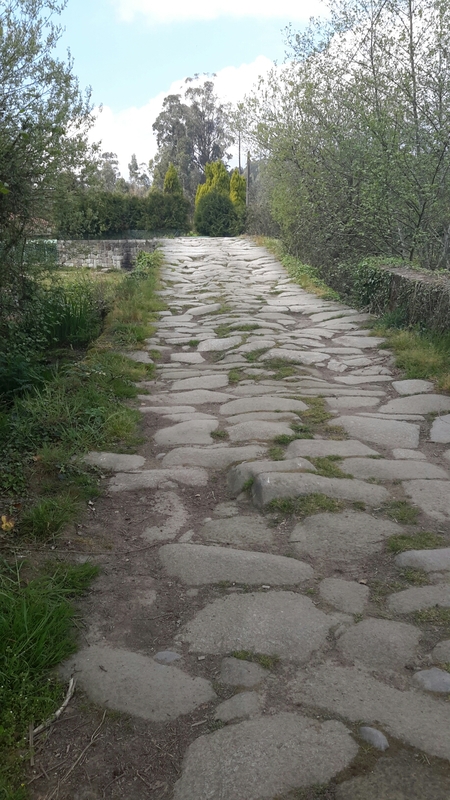 The Camino today followed some original Roman roads that wound through many old school villages and wineries (and notably, the population is likewise, pretty old in this part of the world). 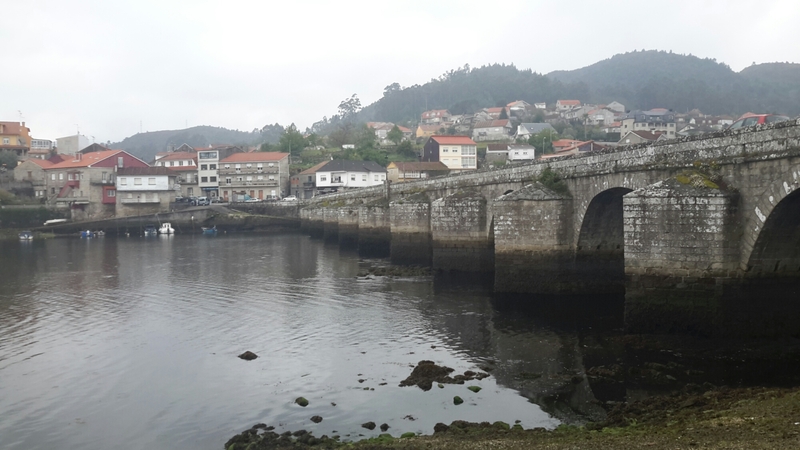 I stayed in a private alberque for the night which was a homestay run by a friendly lady called Fernanda who cooked fish and potatoes for dinner and provided some great Portugués port and conversion. This was excellent for my “inner Camino” because I hadn’t talked to anyone in four days, only pointed at pastries and bottles of Superbock in cafés. 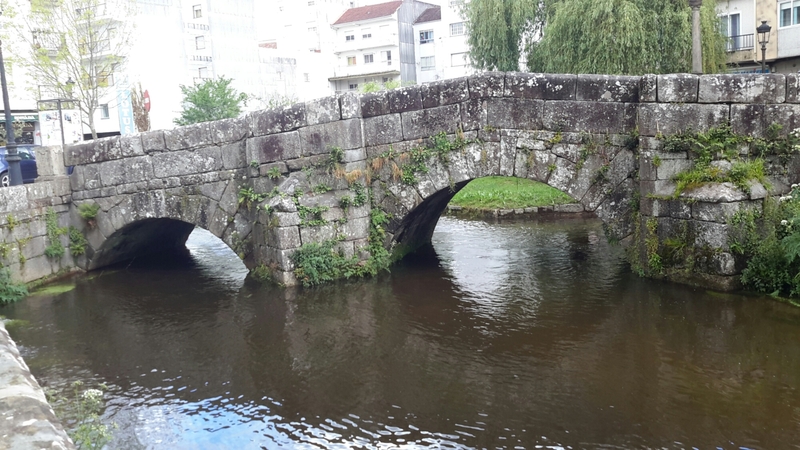 This is an idyllic Portuguese town, built around a town square and a stone bridge. 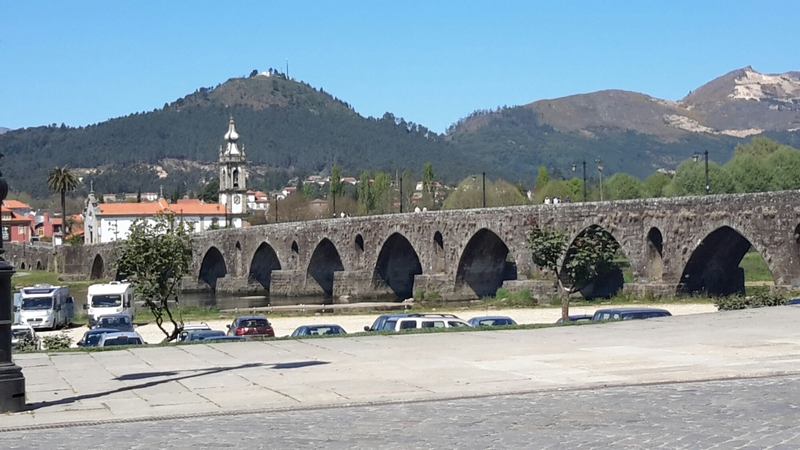 I got to Ponte de Lima in the early afternoon so had plenty of time for cakes and beer. 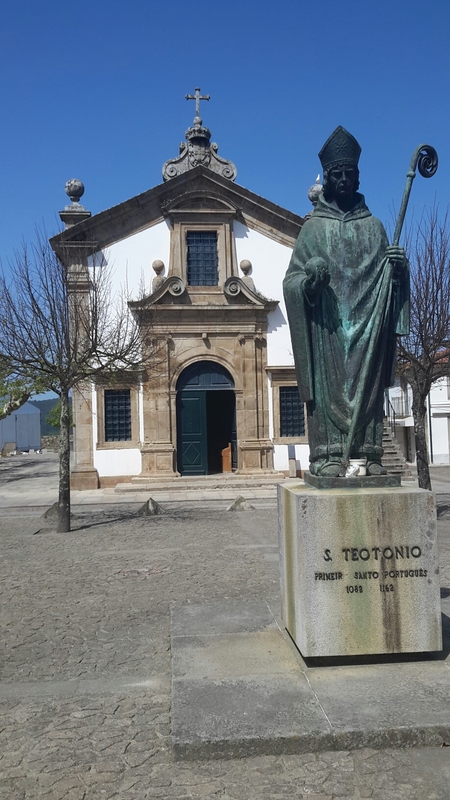 All the town squares in Portugal have free Wi-Fi, so it is possible to check the dating apps to see what all the Christians are up too. I stayed in a wonderful private Alberque this night called Quinta Estrada Romano, which was new and only had one other guest. In the private Alberque ‘s, dinner and breakfast are usually supplied, and they are much better than the Association Alberque ‘s which tend to be a bit stern (and have 10 PM curfews and no Superbock). 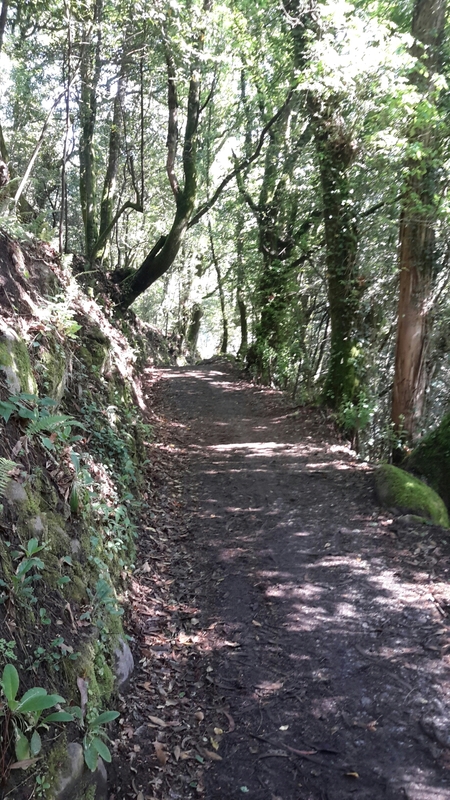 Still, the Camino is all about walking and this day I walked 33 KMS. The physical walking isn’t that difficult, but geeze, I am doing some hard, lonely soul work). 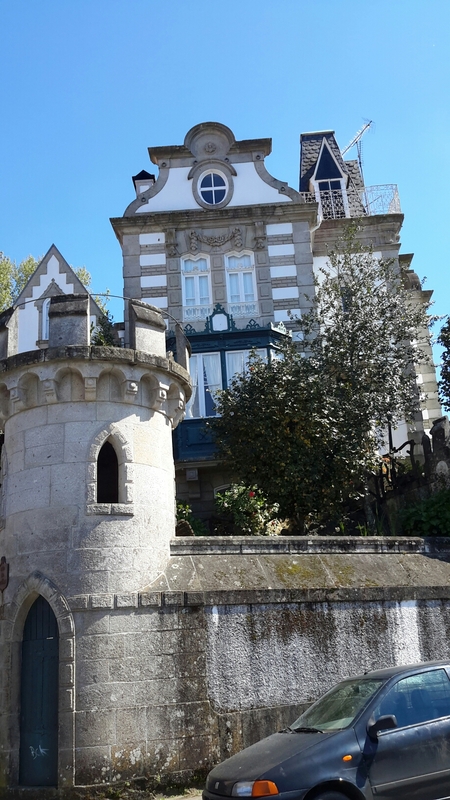 Today I only walked about 10 KMS because I stumbled across two of the most beautiful towns so far on the journey, Valanca in Portugal and Tui in Spain (that are close to each other, separated by a river and a national border). 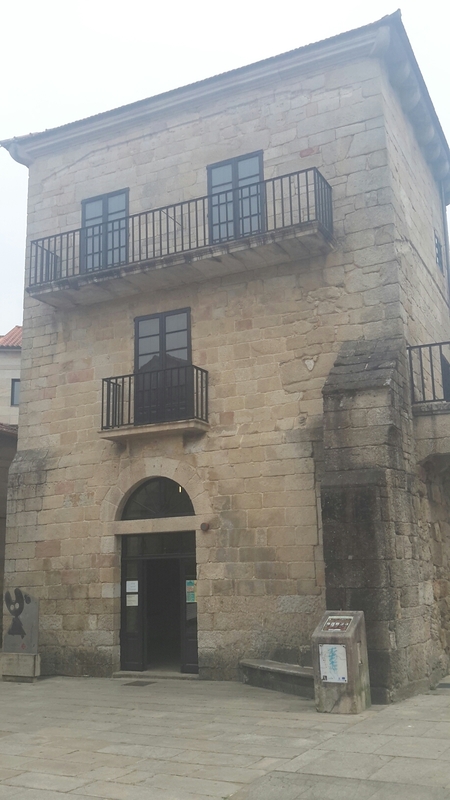 Valenca’s old town is within a fabulous fort, entered through long tunnels in the fort’s wall. And Tui is built on a hill around a cathedral and square. Tui was having a festival this day, so I sat in the town square and drank some Superbock, watched a paramilitary/religious parade, and saw a lot of Spanish dancing (the Spanish seem as though they want to break out and dance at any moment). I ate a hamburger because it was the only thing on the menu I could recognise, and it turned out to be a foot in diameter. I will be the only person in the entire history of the Camino to put on weight! Today I woke at 5 AM because, for whatever reason, the psychopathic Alberque in Tui turns the lights on at this ungodly time. Thus, I didn’t get a lot of sleep, but at 5 Euros a night, who am I to complain. I started to walk at 8 AM and forgot to go to a cafe for breakfast and couldn’t find one for a grumpy two hours. I had croissants and espresso, then continued my journey. Spain is a lot different to Portugal, there are a lot more people, and it has industrialised in an uglier way (I suppose we call this richer in the Modern world). At least, this is the bit I saw today as there were a lot of industrial and commercial estates to walk through. After walking a respectable twenty KMS, I arrived at the alberque in Mos at 2 PM and thankfully, there were no other annoying pilgrims there. This was good as it gave me the space to read and write, some of the best aspects of traveling (and I am just beginning to like my company). Today I walked for about twenty-five KMS, which is not as far as it seems, or, at least, it is not as far as I thought it was going to be at the beginning of the journey. You get used to walking this distance pretty quickly, and I usually finish my days walking by 1 or 2 PM. But this depends on how many cafés and bars I stop at along the way and what time I have lunch (which is usually 2 or 3 in this part of Spain). A tip for the Camino is not to start drinking too early! I stayed at a fabulous private albergue called Lar De Pepa, with the first bunch of pilgrims that I liked! The albergues remind me of backpacking in the 1990s, lots of traveler camaraderie and authentic travelers (or in this case pilgrims). A bunch of us went to a local bar and watched a Champions League football match in the evening. It rained today, so I didn’t walk that far. 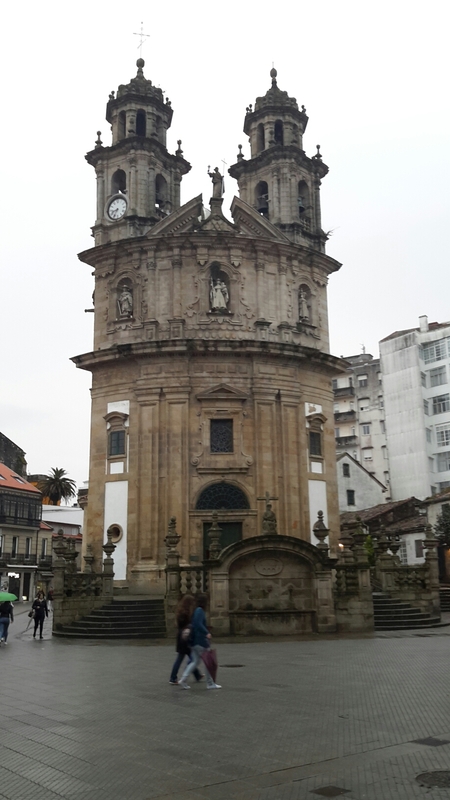 I walked to Pontevedra, which was only 12 KMS away. The track wove through some lovely forests, full of lots of eucalyptus trees, not sure how they got here, some Australian pilgrims long ago perhaps. Plus there were few hills, but the hills are never more than a few hundred meters high, so they are very easy to traverse. 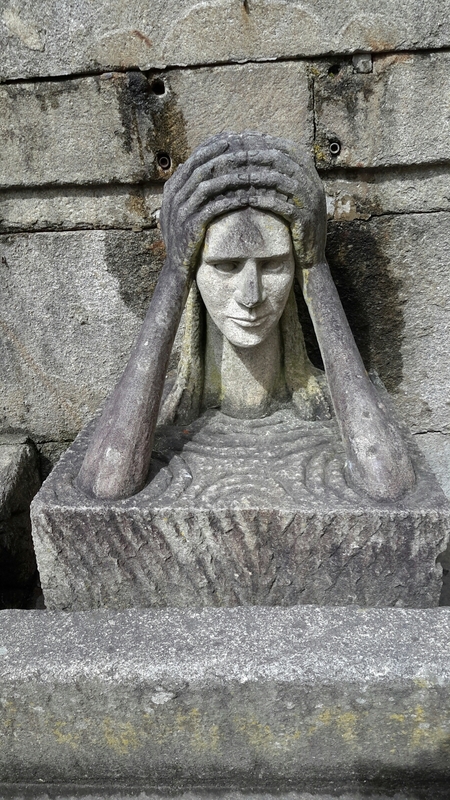 Today it rained for most of the day (again), so I only walked about 10 KMS to the next town, Caldas de Reis. And what a beautiful town that is was, with lots of cafés, a couple of free municipal hot baths, a botanical garden, and endless espresso. The Alberque was next to a stone bridge and bubbling creek and comfortable (and again, at a bargain-pilgrim price at only 6 Euros a night). It is fantastic that a sophisticated network of albergues exist all over southern Europe so pilgrims can walk all the way to Santiago. And I am only about forty KMS away now, and could walk this in one day, but I am ahead of schedule and am enjoying the slow pace (and for the record the Camino Portugués is physically accessible, and anyone with a reasonable level of fitness could do it, possibly in a few days, but then again, it isn’t a physical endurance test, it’s a soul test!). Today I woke early after not getting much sleep in the Alberque because it was full of snoring, geriatric, pilgrims. 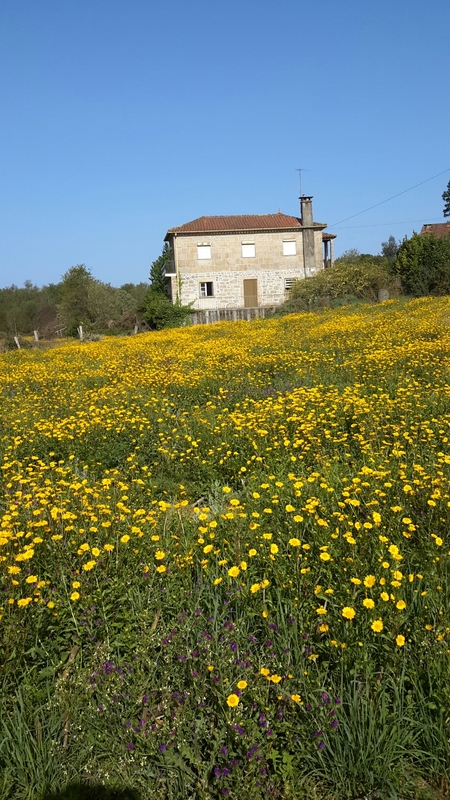 And remember if you do the Camino, you don’t have to stay at the albergues, there are plenty of other options, but hey, I’m on a budget! And the morning walk was spectacular. 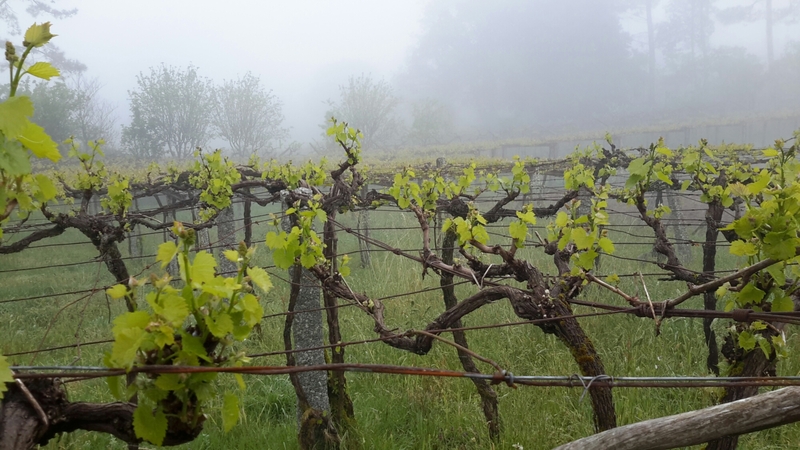 It was Sunday morning, there was a thick mist, and I walked through forests and ancient wine groves with the sound of church bells in the distance. I walked the twenty kms to Pedron where the Sunday market was happening. I had lunch in a packed and frenetic tent (squid, bread and potatoes with two bottles of Superbock). I also had coffee that the waiter topped up with what looked like rum. I asked the ladies next to me what it was, and they said “turpentine” and we all laughed. The waiter continued to fill it with turpentine and then Baileys Rum so I was a bit drunk when I checked into my Alberque (before the 10 PM curfew). 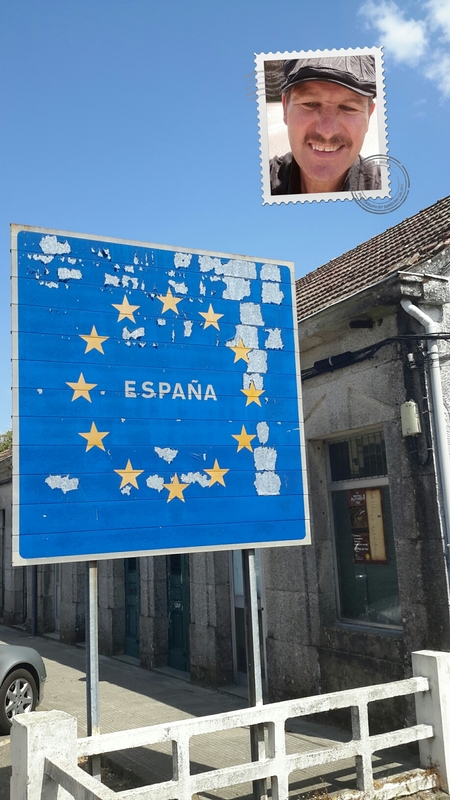 Day Fourteen: Santiago de Compostella! The last twenty KMS of the pilgrimage were comfortable. 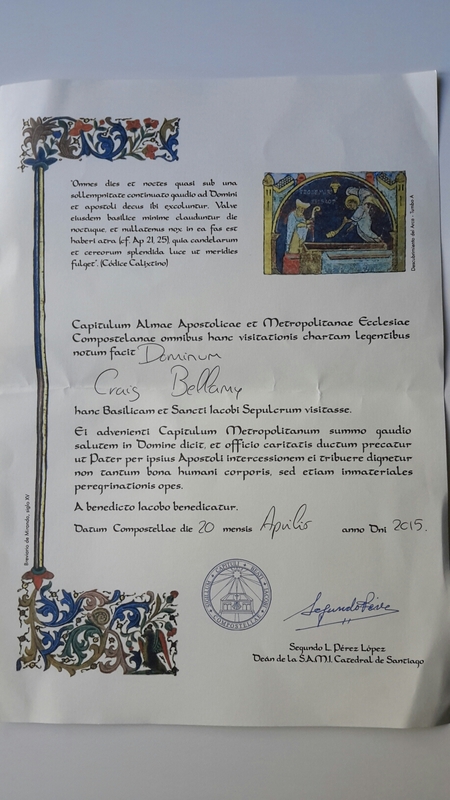 I feel like I could walk another few hundred kilometers, and I will do the 800 KMS French Camino one day and hats-off to all the people who have done that one. Admittedly it has been hard doing the Camino alone, but I wouldn’t have it any other way. Physically I found the 240 KMS of walking relatively easy; it was the battle with the self that was the hard bit. Sometimes I felt my soul screaming out in pain, of the loneliest highways I have ever seen, of days without talking to anyone in English, of huge dorm rooms packed with Christian pilgrims, of torrential rains and then bright, sweaty hot days, of lonely villages with a few sheep and goats for company (no, not what you think), and of deserted albergues where I was the only ghostly pilgrim. Does the Camino change you? I’m not sure, time will tell, but it is certainly one of the strangest paths I have ever walked. 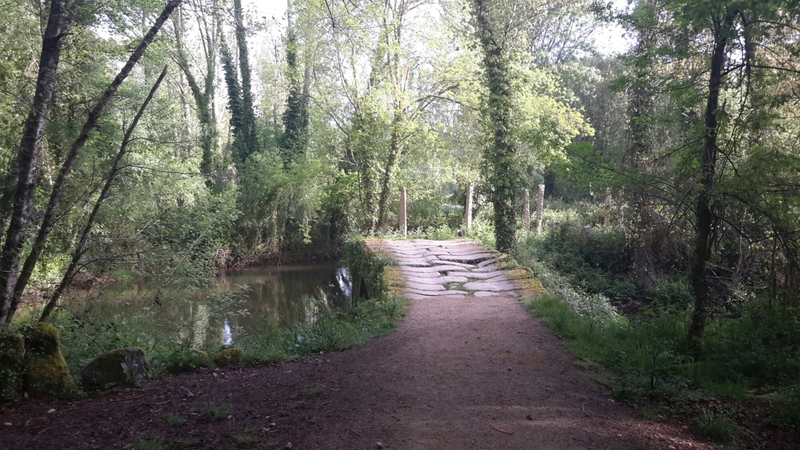 It is a deep path, of over a thousand years, and all sorts of memories and emotions came to the surface while I walked it, some pleasant, some not so nice. But I feel pretty good about doing it and would recommend it to anyone who wants to think about life for a moment while doing something physically healthy and culturally significant. Now I am prepared for South America, for a much longer journey, to another Santiago. Craig – what a panoply of photos; you are looking very much like a local! 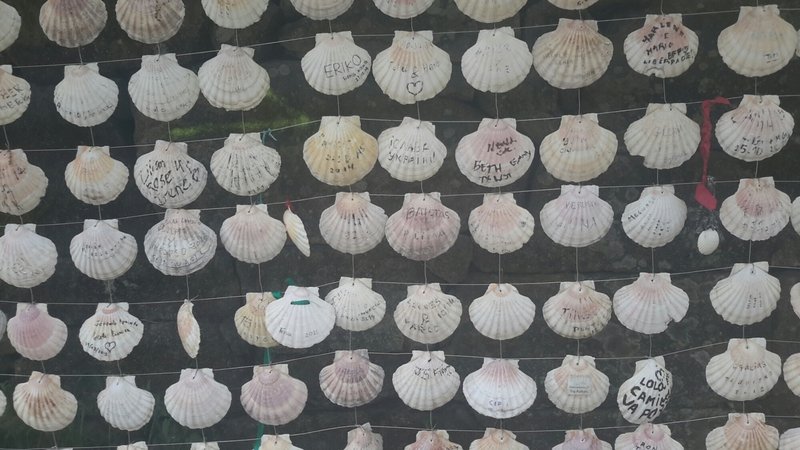 Thanks for sharing your Camino Experience. What time of year did you do the walk ? Fantabulous! I was choked up seeing you in front of the catredal. A wonderful journey. You mentioned a few placed you spend the nights. Can you share where you stayed each night? I am beginning to plan and am even considering biking it. Do you think the paths are bike friendly? Hi Michelle, I stayed a the Association Albergues most nights. There is usually only one in each town plus a couple of private hostels as well. And yes a lot of people ride on bikes, but sometimes you will have to use the roads and not the paths (take a good map). If I do it again I will take camping gear so that it is possible to stay anywhere. And he only problem with the Albergues is that they have huge dorm rooms and lots of people snore and it is hard to sleep. Did you see other pilgrims on your route that time of the year? Which route did you take? Do you think it can be done in 11 or 12 days? Hi Diana, I went during the dates that the blog post was posted (April). It is very quiet this time of year, it is possible to walk and not see anyone else. I took the inland route from Porto. Craig, what guidebooks did you use? Hi Ann, I used one by John Brierley. I think you will find it online. It is best to this before you go as in Porto they were hard to find and very expensive. I’m curious as to why you didn’t feel a connexion with the other hikers for a bit of this walk. I’ve walked the Spanish Camino and have my opinions. What did you experience? 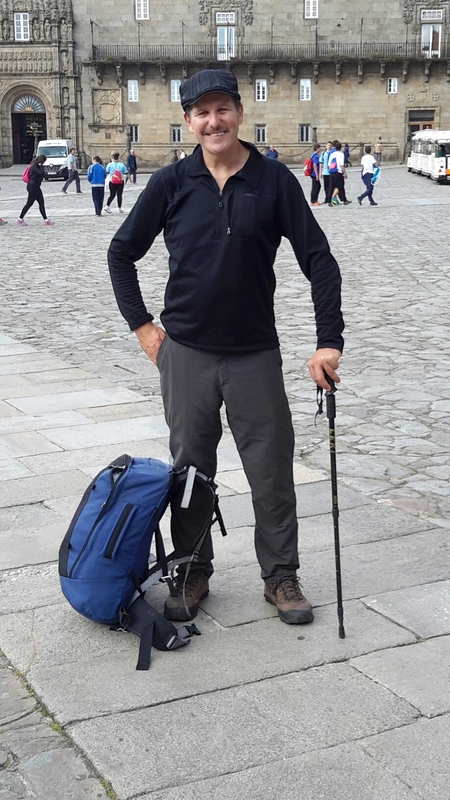 Hi Craig – My daughter is currently on same camino – she began in Lisbon – The temperature was a brutal 100 degrees for about a week & a half – so they began to walk at night. They also did not see many pilgrims until later on actually when entering Spain. As far as the hostels go Check YOUR Beds – This is the second Camino she has been on & got Bed Bugs both times. She found 3 hostels w/Bed Bugs!! But with 3 days left on her trip she’s having a great time! I’m not sure Tom. I can’t imagine this part of the Camino ever being really busy, but I could be wrong. The temprature in August would be nice, but depends what you like I suppose. Bring a tent and sleeping bag! Very helpful and well depicted. I plan to do this exact route next year. Thank you. Amazing post! I’m starting in Lisbon in April and was wondering if you could share your budget and expenses. How much did you spend a day on average! Thanks in advance! It is very inexpensive to do the Camino. It can be done on 20 Euros a day if you stay at the albergues and eat cheaply. The Camino can be done very cheaply. It can be done at 20 Euros a day if you stay in the Albergues and prepare your own food.